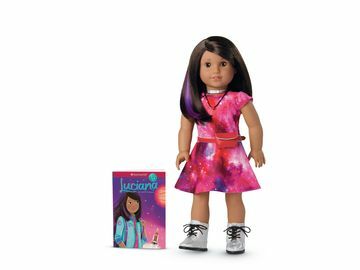 American Girl Offers Fresh Take on Advice Books for Parents of Girls | Mattel Inc. Your daughter's most important task right now is to create her own identity. Text messages can keep your daughter close to you and to friends, but texting can also do damage in the time it takes to hit "send. Parents often expect their children to do more and to do better than they did. The more you listen, the more she hears you. 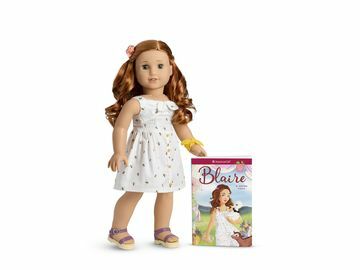 Rather than advocating the One Big Talk, Raising an American Girl promotes the power of creating true connections through ongoing, caring conversations, and offers parents reassurance that they can and do make a difference in their daughters' lives. Written by American Girl's "dream team" of experts—educators, psychologists, physicians, and counselors who know the hearts and minds of girls—Raising an American Girl offers parents practical, real-life strategies to deal with and talk about the tough issues facing girls today, such as: their changing bodies and body image; their moods and attitudes; family relationships and the effects of divorce; friendships, cliques, and bullying; the demands of middle school and overscheduling, and much more. Designed for busy moms and dads, this go-to resource is comprised of short, insightful essays grouped by subject for easy access. Accompanying each essay in the book are helpful "Try This" ideas-activities and conversation starters that encourage stronger communication and trust-building between parents and their daughters. Raising an American Girl will be available this March in bookstores nationwide, as well as through the American Girl catalogue, at American Girl's retail stores, and at americangirl.com. For a free consumer catalogue, call 1-800-845-0005.